Probably most famous as the setting of L.M. Montgomery’s Anne of Green Gables novels, Prince Edward Island is Canada’s smallest province, both in terms of population and area. It is home to about 140,000 residents, who rely primarily on the seasonal activities of agriculture, tourism, and fishing for their livelihood. The capital of PEI, and its only real city, is Charlottetown. Because it is an island, PEI is largely cut off from the rest of the world. Until the Confederation Bridge linking PEI to mainland New Brunswick was completed in 1997, the only way to reach PEI was by ferry. According to a recent study published in the Canadian Journal of Psychiatry and conducted by experts from the Center for Addiction and Mental Health, PEI has a drug and alcohol abuse rate of only 9.89%, one of the lowest in Canada. Such a low drug and alcohol abuse rate may, at least in small part, be attributable to the close-knit nature of the communities in PEI. However, nearly 10% of a population abusing a substance of somesort should nonetheless be considered a significant problem. To help address the problem of drug and alcohol abuse, the PEI Home and School Federation initiated the Substance Abuse Prevention Project program known as Drugwise Parents. The program involved holding information sessions across the island to educate parents in substance abuse. Importantly, parents learned what types of drugs are available to their children and what kind of side effects they may have. 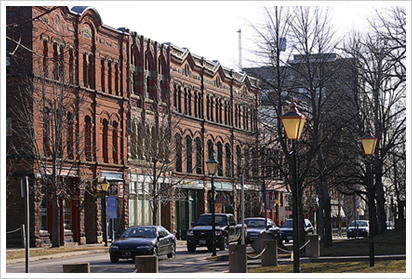 Charlottetown is the capital of PEI and home to about 32,000 residents. 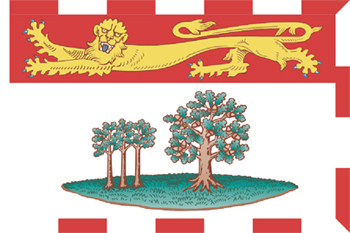 The greater Charlottetown area has about 60,000 residents, nearly half of all the residents in PEI. The picturesque city is a popular destination for tourists from Canada and abroad who venture far enough east to visit. To battle drug abuse problems in Charlottetown and the rest of PEI, the local government is taking a two-pronged approach. The first prong involves putting more police officers of the drug beat and having them concentrate on the street level. The goal is to stem the flow of drugs at the point where teens most commonly encounter drugs. The second prong involves stepping up addiction treatment programs. The goal of this prong is to help adolescents and their parents better handle drug addiction problems. There is also hope that when adolescents see that their friends are being required to spend time in drug addiction treatment facilities, this may scare them away from abusing drugs themselves. Sobriety Home is a private residential addiction treatment facility located a short drive from Ottawa. It offers comprehensive care for drug and alcohol addiction problems in the setting similar to that of a well appointed comfortable country inn. Sobriety Home welcomes clients from Canada and the rest of North America. Its comprehensive Aftercare program ensures that once clients complete their residential treatment for drug and alcohol addiction, they will receive the support they need to stay sober after they return home.